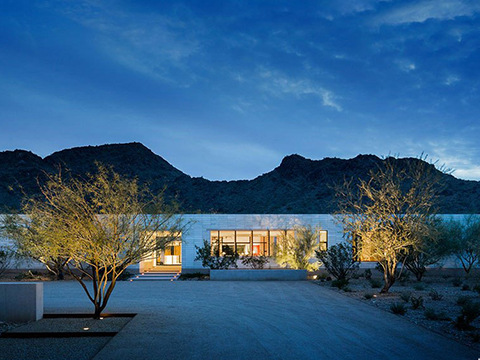 Located in Paradise Valley, Arizona the Delaney Residence features Brombal Thermally Broken powder-coated steel large pane windows and lift-slide doors. 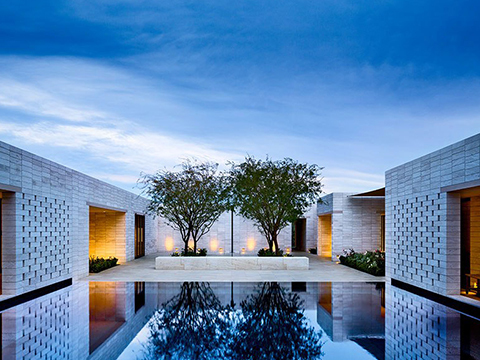 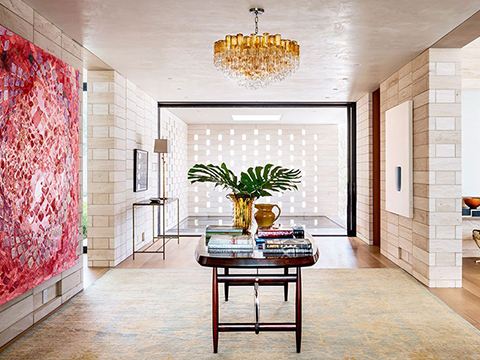 The expansive 9000 square-foot, single story residence sits at the foot of Mummy Mountain and architect Marwan Al-Sayed drew inspiration from ancient architecture. 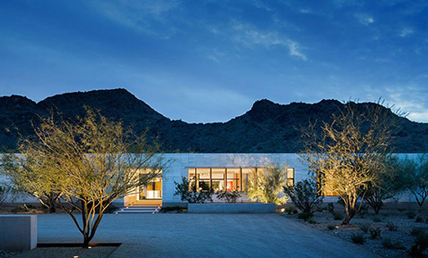 Our products were a perfect match for the project – providing energy efficiency and long term durability. 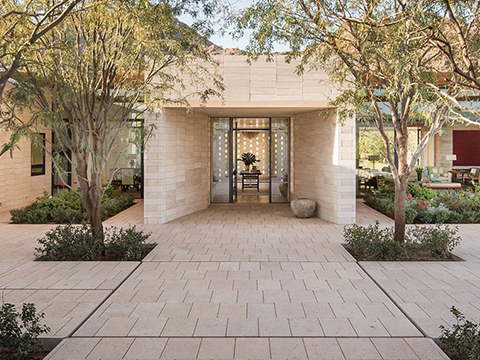 The windows & doors allow an abundance of light into the single story structure, while complementing the building materials, and overall feel of the residence.